Josè is a Spanish dancer and choreographer, former Etoile of the Paris Opera Ballet. Born in Spain, Josè Martinez studied at the "Rosella Hightower" International Dance Centre" in Cannes. 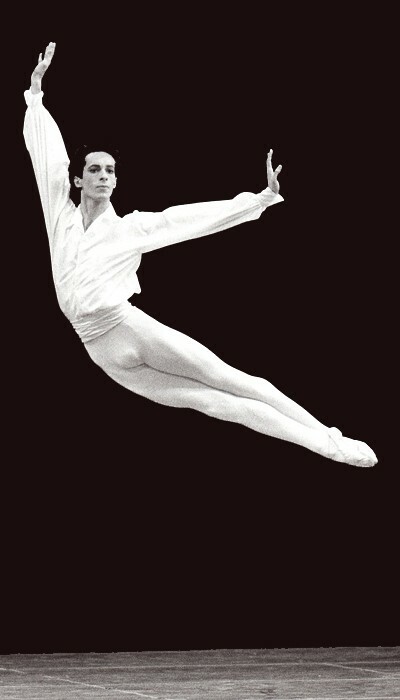 In 1987 he won the "Prix de Lausanne" and trained at the Paris Opera ballet school . 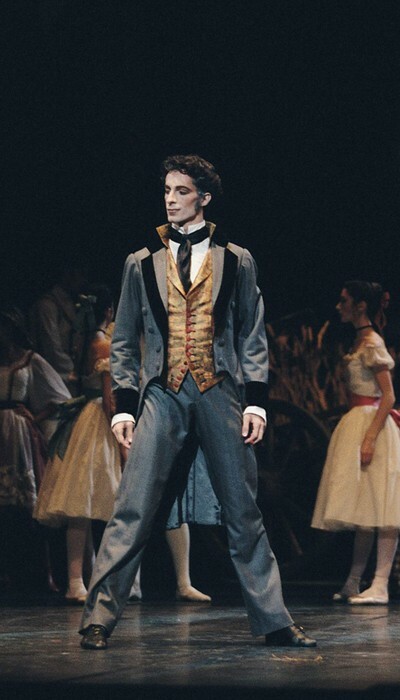 In 1988 he joined the Paris Opera ballet. In 1992 Josè won the gold medal at the "Varna" competition and became "Premier Danseur" of the P.O.B. 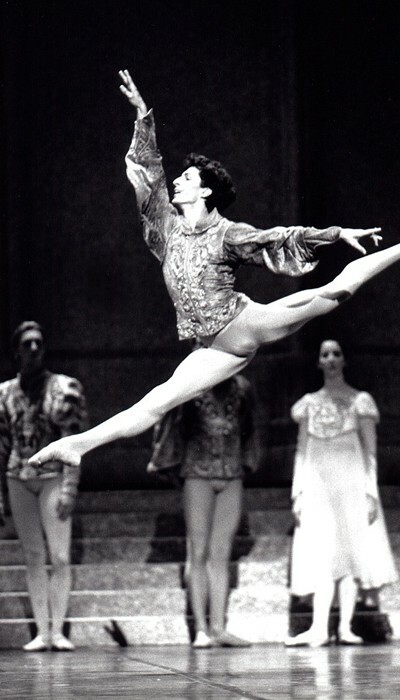 In 1997 he was promoted "DANSEUR ETOILE". Since September 2011 José has been the Artistic Director of the Compañia Nacional de Danza (CND) in Spain. In addition to a natural elegance, his brilliant technique and his richness of expression make him the perfect interpreter for Rudolph Nureyev's Don Quichotte, Swan Lake, Raymonda, Sleeping Beauty, La Bayadere, Cinderella, Nutcrackers, Pierre Lacotte's Sylphide, Patrice Bart's Giselle, Paquita, but his repertory includes several pieces from Massine (the Tree Corner Hat, le Beau Danube, Parade), Balanchine (Sylvia Pas de Deux, Divertimento n°15, Agon, Palais de Cristal , the four Temperaments, Capriccio, Theme and Variations), Mc-Millan (Le Chant de la Terre, Manon Lescaut ), Tudor (Jardin aux Lilas), Graham (Temptations of the moon), Taylor (Aureole) Ashton (Rhapsody, Scenes de Ballet), Lander (Etudes), Lifar (Suite en Blanc), Staats ( Soir de fete), Melikova (Esmeralda Pas de Deux). Josè has worked with contemporary choreographers like Mats Ek (Giselle), Forsythe (In the middle Somewhat Elevated, Wound Work 1), Bejart (IX Symphony), Neumeier (Le songe d'une nuit d'etÈ, Magnificat, Vaslaw), Galotta ( Les Variations d'Ulysse), Yanovski (Alquivia). Creations at the Paris Opera: A 4 heures du matin, l'ètè (Florence Lambert -1990), Attentat poetique (Daniel Larrieu -1992) Giselle (Mats Ek ), Passacaille (Roland Petit -1994), Coppelia ( In the Patrice Bart version - 1996), Sylvia (Neumeier - 1997), Le Concours (Maurice Bejart - 1999), Pas/Parts (William Forsythe - 1999) Le Rire de la Lyre (Josè Montalvo - 1999), Appartement (Mats Ek -2000). José has also created ballets like Les Enfants du Paradis for the Paris Opera and Marco Polo for Shangai Ballet among others. 1999 - "GRAN PREMIO NACIONAL DE DANZA" (Culture ministry of SPAIN). As a guest artist he has danced with the National Ballet of Cuba (Giselle), Tokyo Ballet (Paquita, Palais de Cristal), Dutch National Ballet ( Rudy Van Danzig's Romeo and Juliet), Nice Opera Ballet ( The Tree corner Hat, Le Beau Danube , Parade, Scenes de Ballet, Raymonda III act ), Ballet del Mediterraneo (Fernando Bujones's Nutcrakers ),Croatian National Ballet (Swan lake ) and the ballets of " Theatro alla Scala di Milano" (Don Quichotte, Giselle ) and "Theatro Communale di Fierenze" (Bourmesteir's Swan Lake). Josè has performed in many "galas" around the world in New York, London, Tokyo, Lisbon, La Havana, Madrid, Amsterdam, Dallas, Cannes, Helsinki, Berlin, Rome.